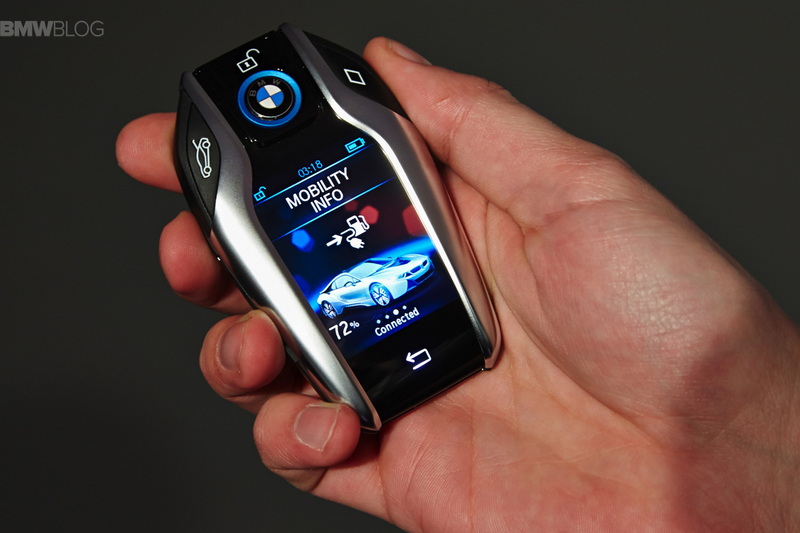 At CES 2015, BMW has gone one step further, turning its i8’s key fob into a touchscreen device that does a lot more than just lock and unlock your car. A 2.2-inch screen brings car data to your pocket! Adopting the beauty of aluminum and glass in a sophisticated design, this new key fob has all the convenient functions of a remote key such as locking, unlocking and failsafe identification of the key for starting the car. Moreover, the LCD touch-screen provides the sort of status information, including fuel level, for instance, or the battery electric range. The screen can be swiped left and right to browse through menus, and it allows you to know whether the doors and windows are locked or a service is due, for example. These pieces of information can also be easily accessed on a smartphone with the BMW iRemote app. 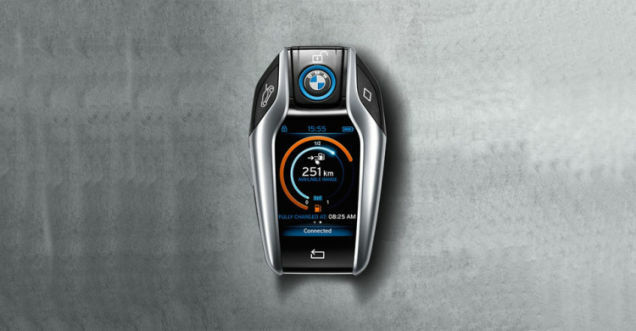 This BMW’s revolutionary key fob features a lithium-ion battery which will recharge wirelessly in the car when placed in it’s charging tray just in front of the gear lever, or it can be charged via micro-USB. BMW claimed it will last for up to 3 months on a single charge. The new fob will be available as an option for the BMW i8 from autumn 2015.